With 10 people left in the event, "Miami" John is clearly tired. John is another favorite player of mine. 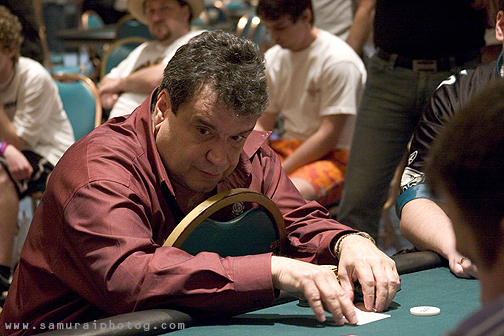 This photograph was used in the ESPN book "The Best Hand I Ever Played"